Tranquillizers may trigger or worsen depression in susceptible people. The body habituates to tranquillizers over time, which means that increasingly high doses must be taken to achieve the same effects. Rebound anxiety often occurs when the tranquillizers are eventually withdrawn. Antidepressants, which are frequently prescribed for anxiety, are often a helpful short-term solution as well. However, studies indicate that after six months, antidepressant therapy no longer decreases anxiety relapse rates (Ham et al., 2005). Those looking for a permanent solution to severe anxiety should use natural techniques that have proven effective rather than relying on medication in the long term. The following are a number of research-supported strategies for reducing anxiety and getting rid of panic attacks, or at least significantly reducing their likelihood of occurring. Some strategies are more suited to certain people than others, so it’s a good idea to experiment and find out which ones work best for you (though the more you try, the better your chances of developing a calmer mind and body). 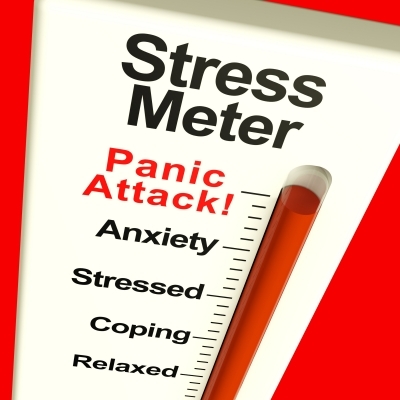 These self-help articles assume that you have been to a doctor and received a diagnosis of panic disorder. If you have concerning symptoms and have not consulted a doctor, you should do so before assuming that the problem is panic disorder. This article series is provided for informational purposes only and is not intended as a substitute for medical or psychiatric advice. Medical concerns should be referred to a qualified doctor. University of Alberta. (n.d.). “Panic/Anxiety Attacks.” UWell.UAlberta.ca.